Wonderful established location. Split level updated home on a large fenced yard. The main level features a living room, dining room, and an eat-in kitchen. All bedrooms and two full bathrooms located upstairs. Den, laundry room and a two car garage are on the base level. Clean and well-kept property with a spacious yard and deck off the back. Convenient location right off Hwy 81 and Concord Rd. 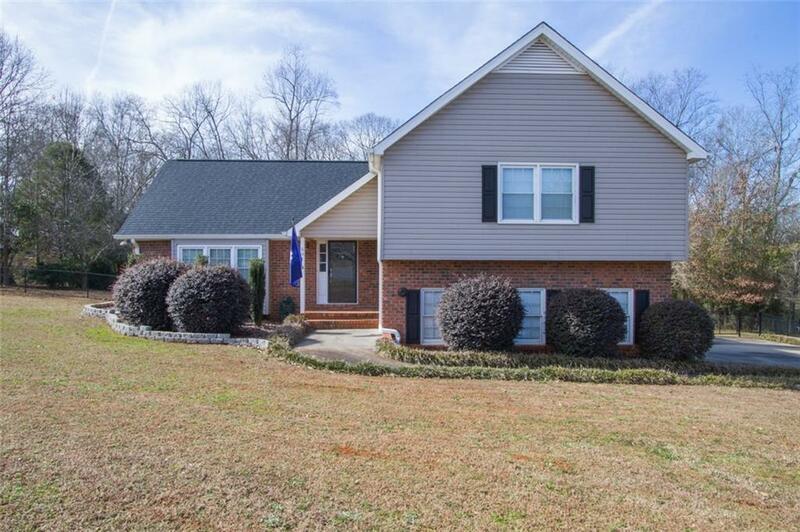 Highly desirable schools with quick access to shopping and I-85 Exit 27.